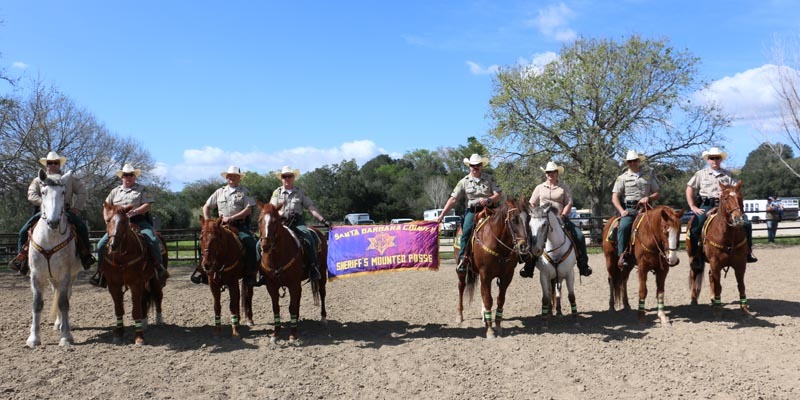 The Sheriff’s Mounted Enforcement Unit has been in existence for the past 27 years and has been an integral part of the Sheriff’s Office. 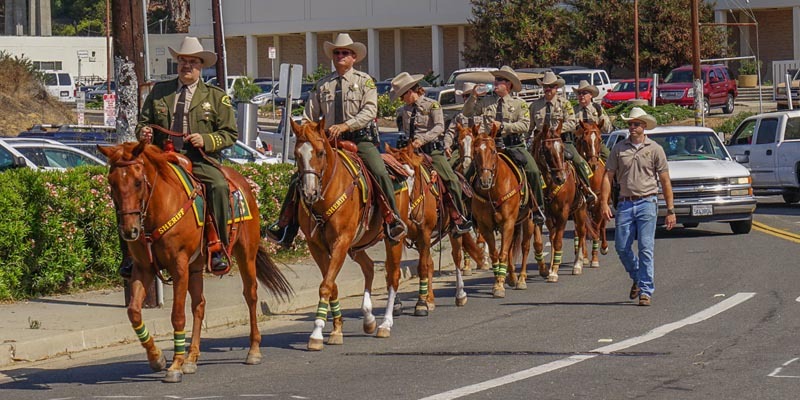 The Unit consists of specially trained deputies and mounts who have been certified to function as mounted law enforcement officers. It is the objective of the Mounted Unit to augment regular patrol functions, assist with special operation’s functions, perform crowd control assignments and assist with search and rescue operations. The unit is also intended to promote public relations and to develop community policing concepts by establishing a bond with our communities through utilization of the Mounted Unit. 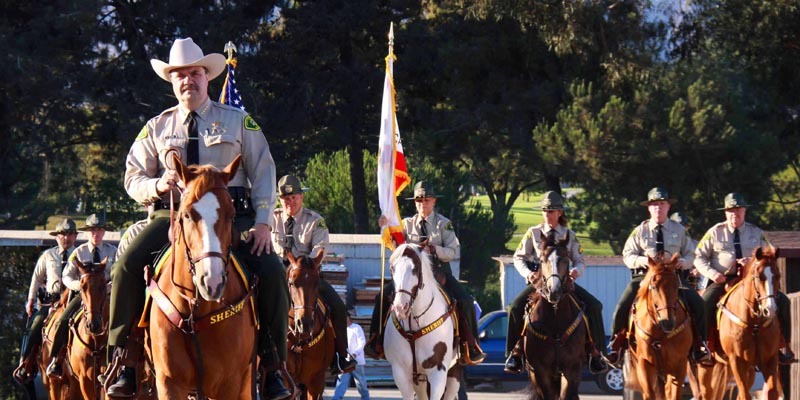 Members of the Sheriff’s Mounted Unit work law enforcement details, crowd control, search and rescue, public relations events and supplement the Mobile Field Force during civil unrest situations. 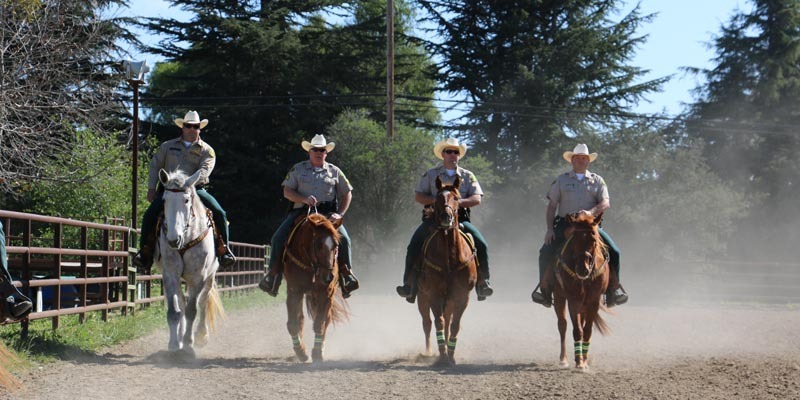 The Sheriff’s Mounted Unit may be deployed to any mission deemed necessary by the Sheriff. 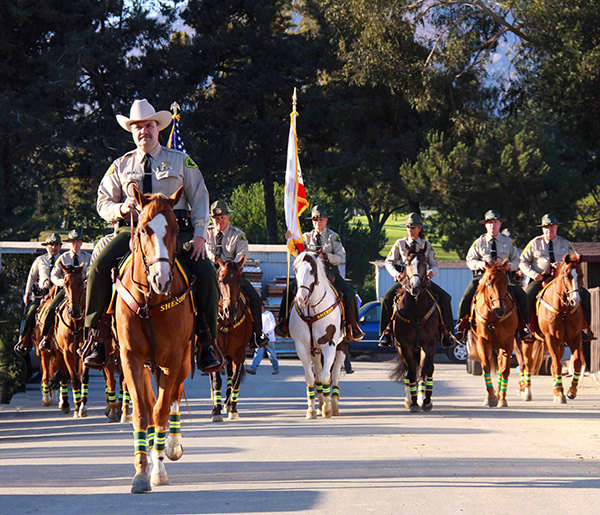 Follow the Sheriff’s Mounted Unit on FACEBOOK! 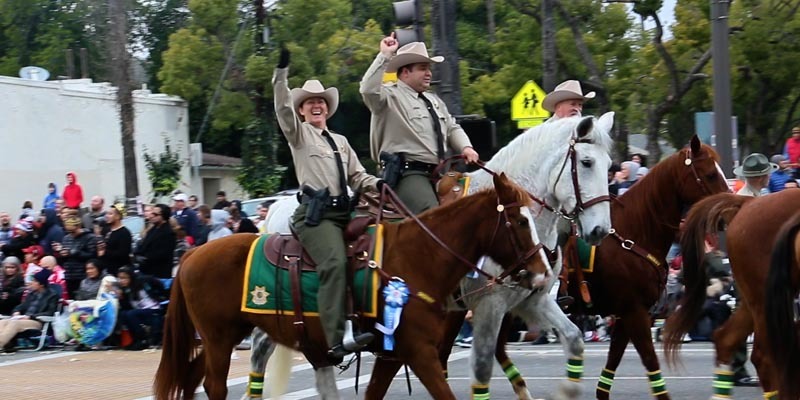 The Santa Barbara County Sheriff’s Office established the Mounted Enforcement Unit in 1988. The unit originally functioned as a back country patrol and search and rescue unit. The unit has evolved in its size and primary function in the 28 years it has been in operation. 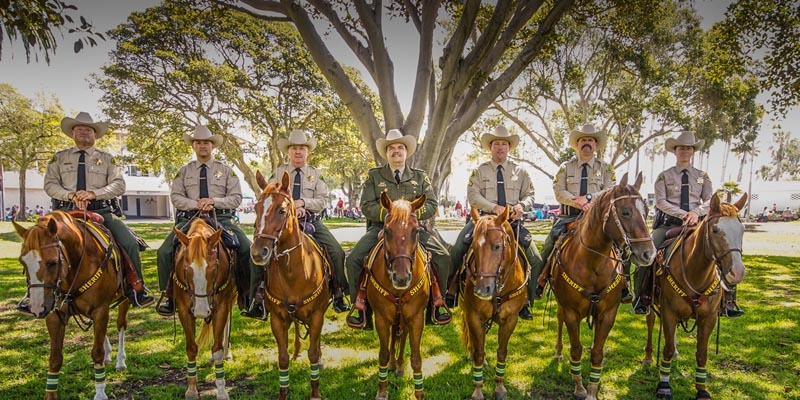 The Mounted Enforcement Unit’s primary functions now include crowd control for large events, riot control for situations of protests and civil unrest as well as back country, rural and special event patrol operations. 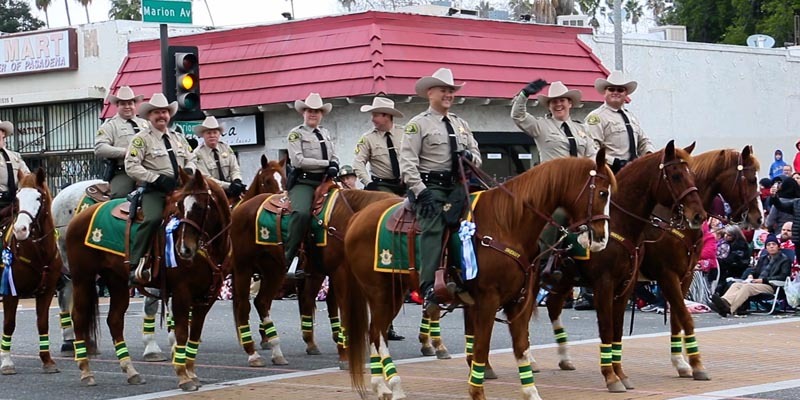 The Sheriff’s Mounted Enforcement Unit participates in many of our local parades and events as a Color Guard or Mounted Parade Unit. 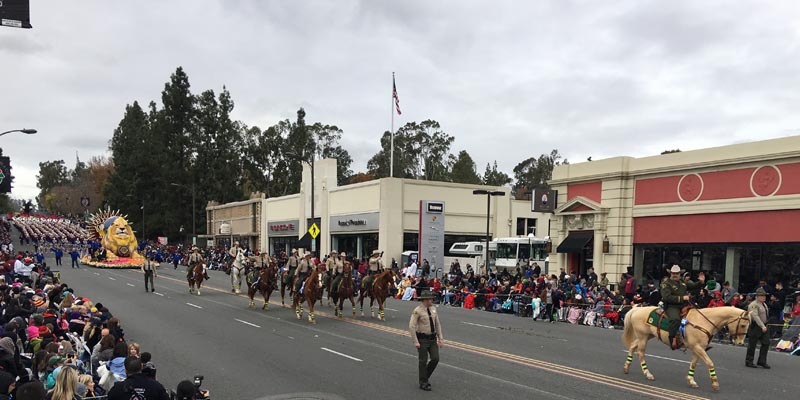 These parades and events include the historic Old Spanish Days Fiesta Parade, Lompoc Flower Festival Parade, Santa Maria Elks Rodeo Parade, Los Alamos Days Parade as well as smaller community parades celebrating local and national holidays. Upon request, we present the State and American flags at fundraising events and other community activities as a way to build community relations and support for Law Enforcement. The Unit is a “collateral assignment”, which means all team members have regular law enforcement positions, such as patrol or detectives and work the Mounted Enforcement Unit in addition to their regular assignments. The Unit is a “Western” style unit as opposed to an “English” style unit and as such we use western saddles, boots and tack. A stringent selection process is in place for both mounts and team members. Team members must be sworn Deputy Sheriff’s or Reserve Deputies. Team members must attend a minimum number of training hours annually and must demonstrate knowledge and ability commensurate with the Mounted Enforcement Unit’s mission. Members must pass an annual skills exam which includes ground work and equitation skills. 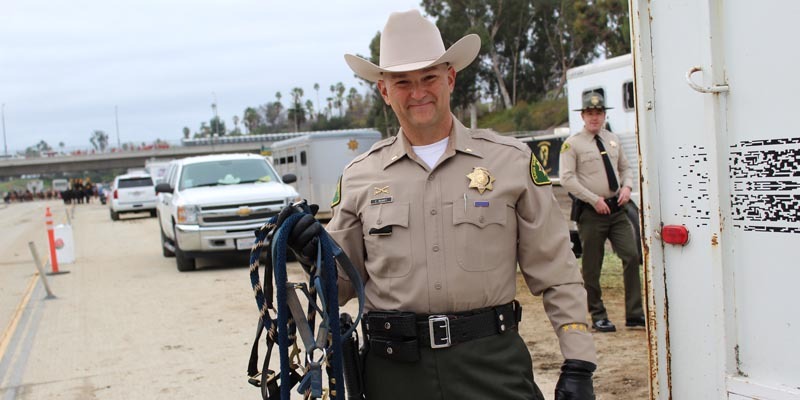 Unit members must demonstrate that they are not only excellent Law Enforcement Officers, but must display excellent horsemanship as well. The commitment of time involved in maintaining a mount as well as the time involved in preparation for any deployment is a quality that team members must possess. Mounts must also meet strict guidelines. Mounts must be free of vices such as kicking or biting. 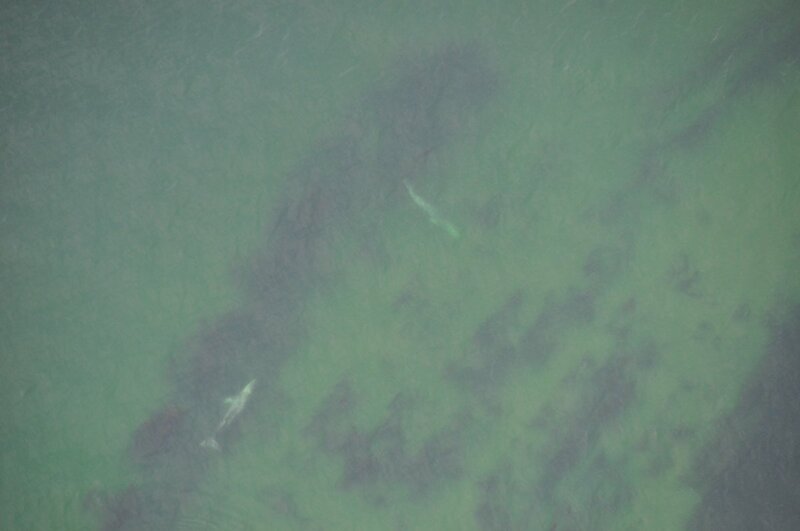 They must be in excellent health and able to work through often long deployments in rural and urban settings. Mounts must pass an annual skills test to ensure they are physically sound and able to stay calm while confronting the variety of stimulus they may encounter. 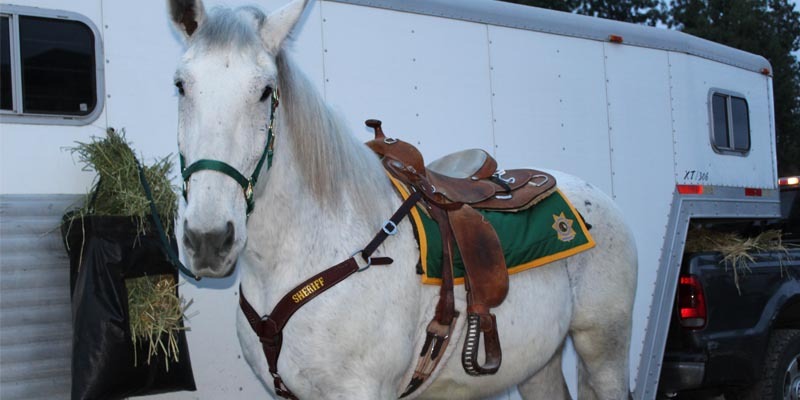 A horse that can meet the stringent standards of a Law Enforcement Mount is difficult to find. 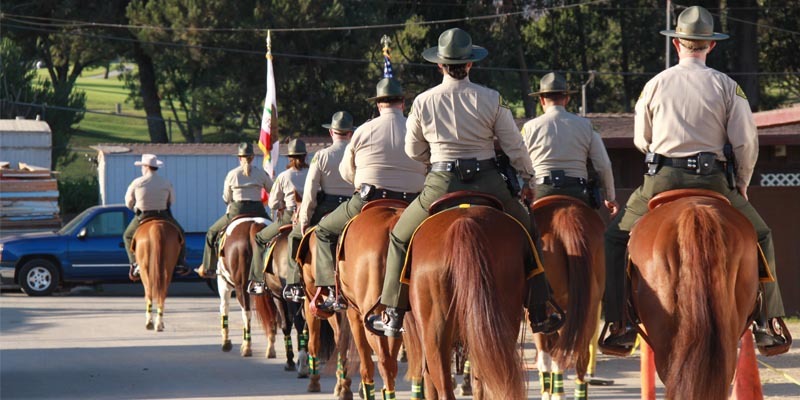 The Mounted Enforcement Unit trains a minimum of once each month and utilizes a standardized format to ensure the basic equitation and sensory needs are covered. Riding skills (equitation) are a major component of our training, so the Unit introduces guest trainers who offer fresh insight of our riding proficiency. 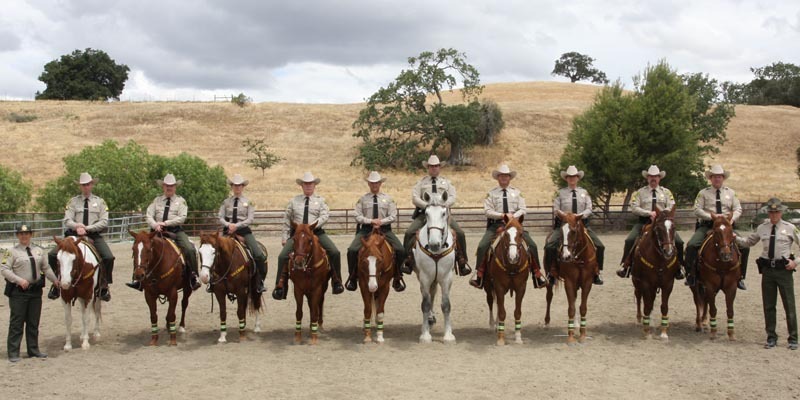 The Sheriff’s Mounted Enforcement Unit is also part of a regional team. Santa Barbara joins this regional team to train on a quarterly basis. Like many units across the state and nation, we have been a prime target for budget reduction or elimination. The fact that all our mounts are privately owned and a large portion of our equipment needs have been funded by donations has helped our unit survive those cuts. 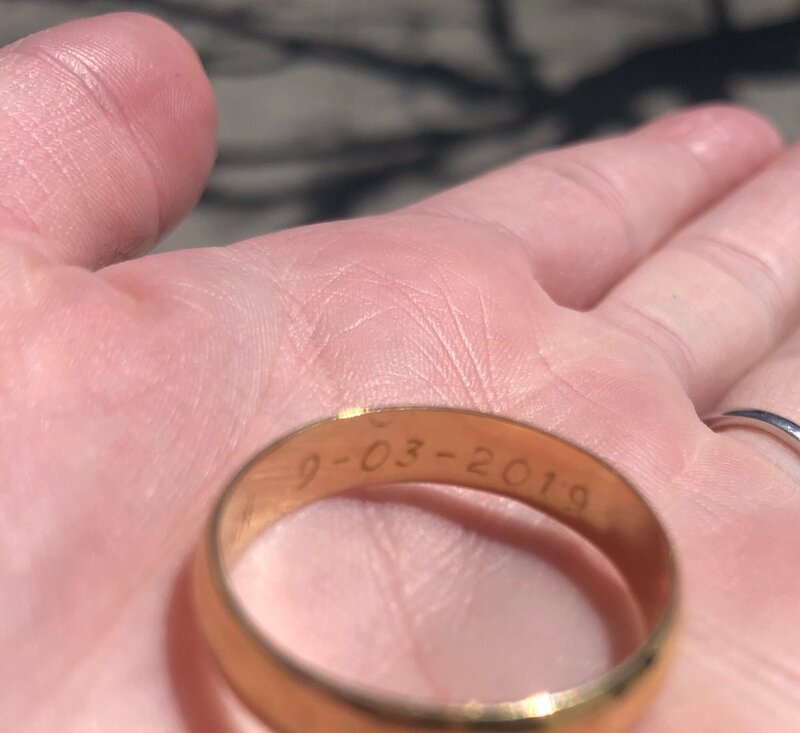 The team members themselves have also contributed by absorbing many of the costs they might be eligible to recover through the Sheriff’s Office. A good percentage of our basic tack and gear is privately purchased by our team members. 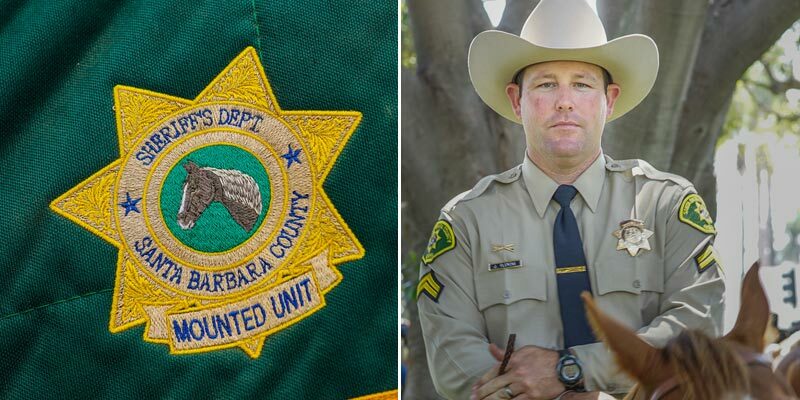 Many of the unit items with color coordination or embroidered badges and “Sheriff” identification have been obtained by way of donations from supporting groups or organizations. All of our Mounts are privately owned. Feed, equipment and maintenance costs, as well as daily care are paid for by the Unit Deputies at their expense. 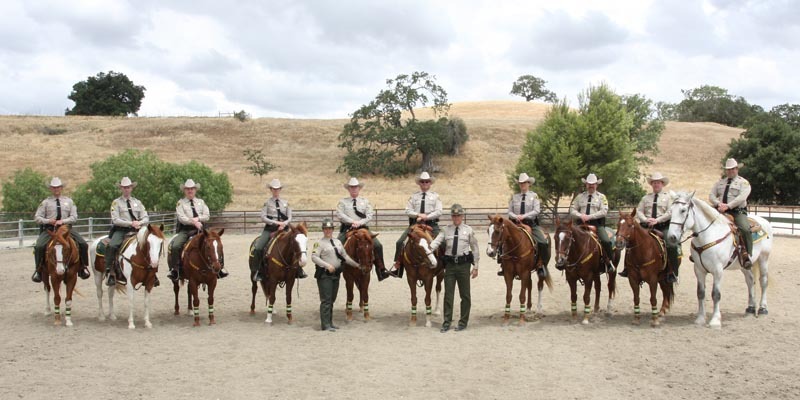 The Sheriff’s Mounted Enforcement Unit occupies a 7-stall barn located at the Santa Ynez Valley Equestrian Center. This barn, built by the Sheriffs Benevolent Posse for the Mounted Unit, provides a place for unit members to board their horses. The barn also features a large classroom, tack room, and training facilities all in one central location. The barn provides for a central staging location for the unit to prepare for deployment anywhere in the county or mutual aid requests outside of the county. 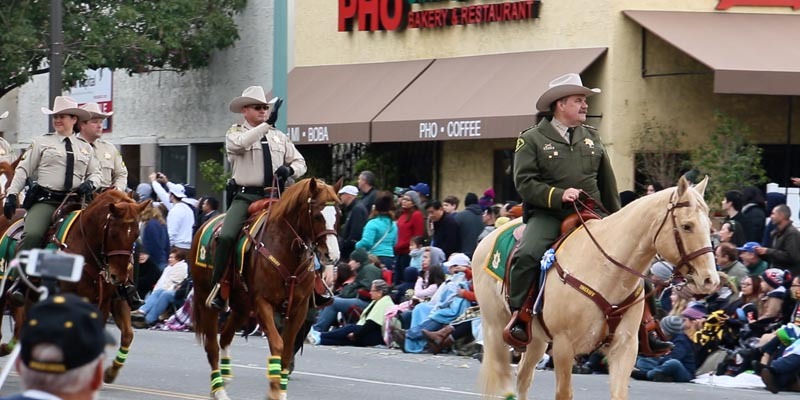 On January 2, 2107 the Mounted Unit made an historic appearance in the Tournament of Roses Parade in Pasadena. It was truly an exciting and rewarding experience.